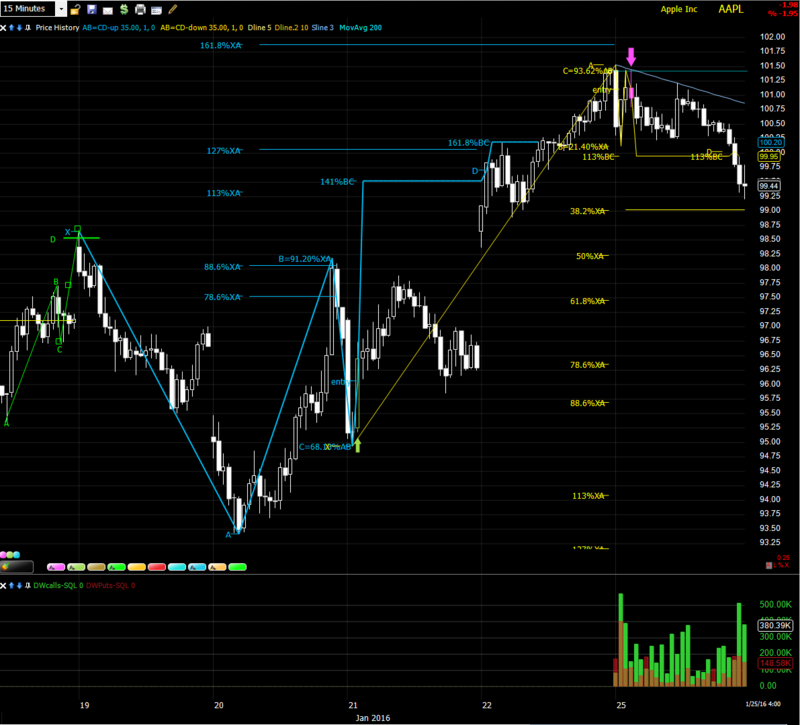 Today SPY opened up below the BearPRZ of the 15min XABCD pattern we alerted on last week. The 11:15 Bar started a bounce of the small BullPRZ that was initiated by the drop below the entry at 190.36 as mentioned in previous post. I took a call trade against that PRZ, which worked, and netted a small profit, and I got trail stopped out when the market started heading south, in a new CD leg down of a larger XABCD pattern. 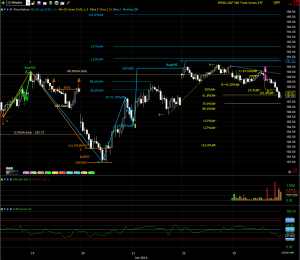 EOD closed just below the 61.8%XA. Since the closing bar’s low was at the LOD, we can’t calculate an entry level yet for a possible leg up, since it requires a low surrounded by at minimum one higher low at either side. So if tomorrow’s 1st bar has a higher low then 187.41, only then can we calculate an entry for a leg higher, until that happens, we’ll continue to observe the XA retracement levels of the yellow indicator. 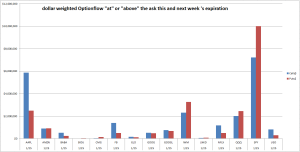 Apple has earnings tomorrow after the bell, We’ve been alerting on bullish optionflow since middle last week. 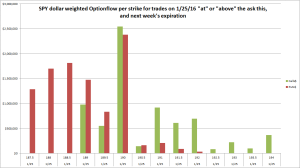 Even during the pullback today call buying continued to outperform Put buying. I traded Apple last week, but at this point have no position, and I doubt I will play the earnings. 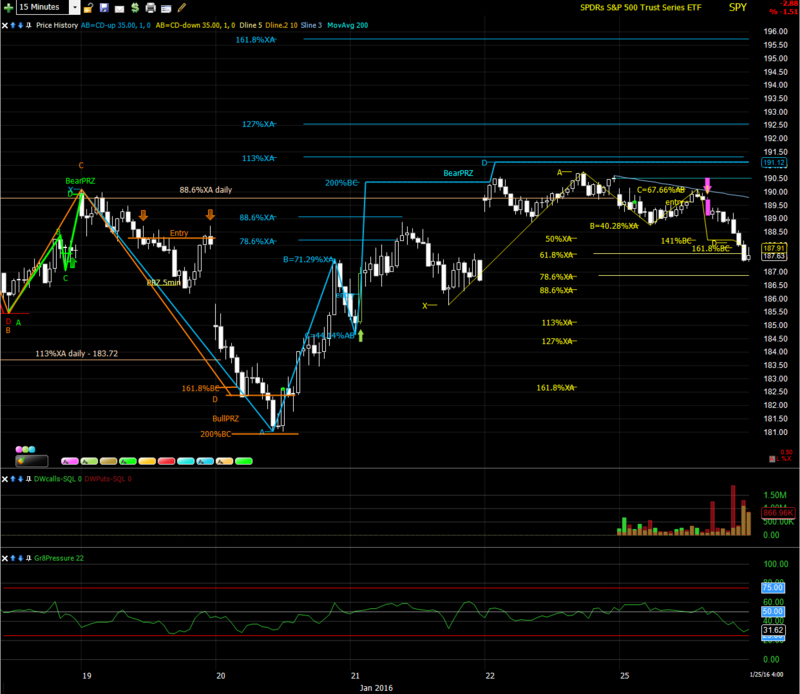 For tomorrow; same as SPY; no new entry for a CD leg higher at this point. Unless we get a higher open tomorrow, we’ll have to watch the XA levels.